According to one poll, the New Right was hovering between life and death, barely crossing the minimum electoral threshold of four seats. 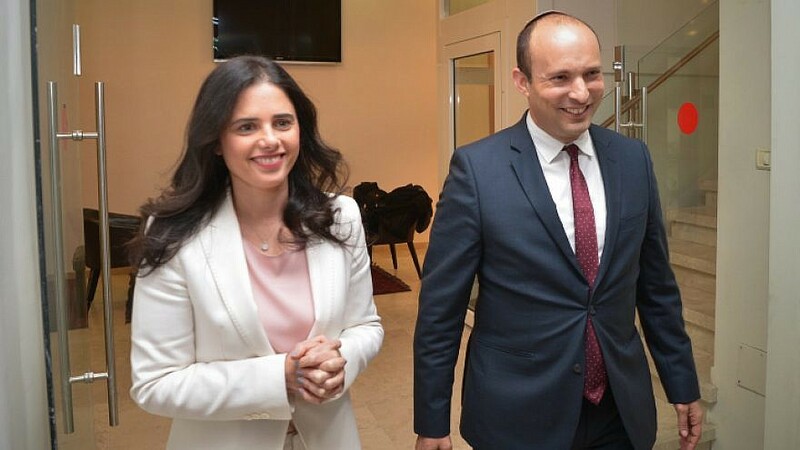 Israeli Minister of Education Nafatli Bennett and Justice Minister Ayelet Shaked seen after a statement during a press conference in Tel Aviv announcing a new political party on Dec. 29, 2018. Photo by Yossi Zeliger/Flash90. Netanyahu’s all-out campaign to solidify his hold on the right was motivated by the fear that the center-left bloc Blue and White would get the first chance to form a government if it got more seats than Likud. As of Tuesday night, Likud and Blue and White were in a dead heat. According to one exit poll on Tuesday night, the New Right was hovering between life and death, barely crossing the minimum electoral threshold of four seats. Two other exit polls show the party with zero seats because it was unlikely to win the required 3.25 percent of the valid vote count. “We are in dire straits, but let’s hope that after the elections results come in during the night, we will have crossed the electoral threshold,” Bennett said on Tuesday. The party also hopes the final tally, which will include votes cast by soldiers, would give it a boost and save it from extinction.